So, it was a long time coming, but my good friend Atilla Kabak has finally managed to finish an important work. 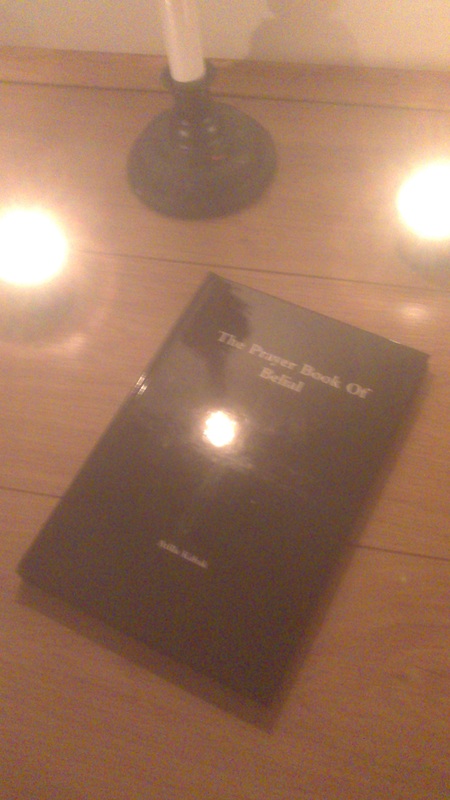 This book, titled the ‘The Prayer Book of Belial’, was written in possession with the Lord of Lords across many months. Atilla originally got in contact with me through this blog, and it quickly became apparent that Belial had many things in store for him.. this book just part of the gnosis that Belial wants returned to the realm of man. As such, i’m going to launch into this for those who are interested in works on this current, and thus must make clear that therefore I am not an unbiased source. That said I believe this book is an important addition to the current for reasons I am about to lay out. 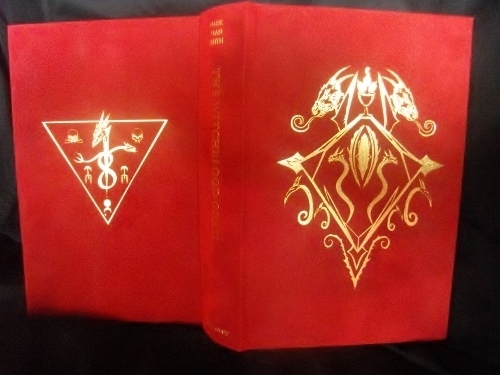 The exterior of the hardcover copy of the book is a simple, sparse black casewrap without any adornment, or other artistic work or embellishment. This belies the dense, revelationary text that is held within its 164 pages. The aim of the book is also deceptively simple: to bring the reader into direct contact with Belial and open up his gates within their soul and flesh. Through the introductory sections of, ‘on inner path’, ‘on prayers’, ‘on visions’, ‘on rites’, and on ‘on healing and curses’ the author lays out succinctly and without embellishment or trappings the ‘why’ and ‘how’ of the path and how therefore the book can be successfully worked. In addition, in the follow-up section’ a simple guide’, the author offers up information for absolute beginners of following his simple, instinct led approach. Finally, the author details how the book was received in no less than four separate languages from Belial, and how it required significant translation to be understandable and decoded from the original ‘stream of consciousness’ which occurs during possession. After this, the author begins the meat of the text – the Four Sets of Twenty Prayers / Devotionals dedicated to the Lord of Lords. Each prayer opens a particular gate or set of gates within the soul, thus marking it as one of Belials own kin. The particular method for each set and prayer varies, but a general theme runs throughout each section. Each section is dominated by a particular seal, which encapsulates its powers. These prayers may be accompanied with the use of physical tools as part of trans-formative rites. From my reading of this book, as well as experiencing its activated power, I give now my best, entirely personal summation. 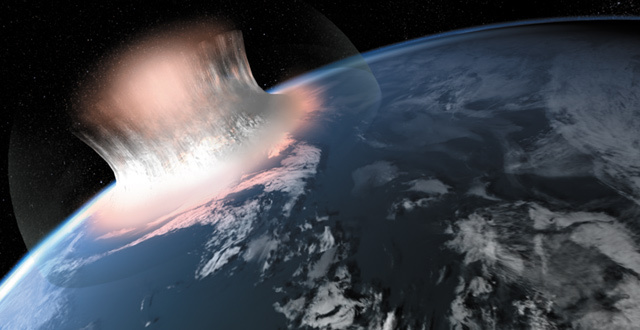 The Call – This section is extremely initiatic, laying the ground work for further empowerment through the opening of seven sealed gates within the soul. A further nine gates are then opened through the use of Belials stones before it is seated and sealed with the prayers of the ‘Summonings To Soul and Body’ and ‘The Oath of Communion’, which unlocks the second path. The seal of The Call is that of the red gem of Belial, dripping in blood, suspended above the flames. The Communion – This section is the foundation of the bones of the work, as he or she who walks the path further explores and lays further foundations on what was released during The Call. Belial here seats himself into the very flesh, in return for the pacts made to him. 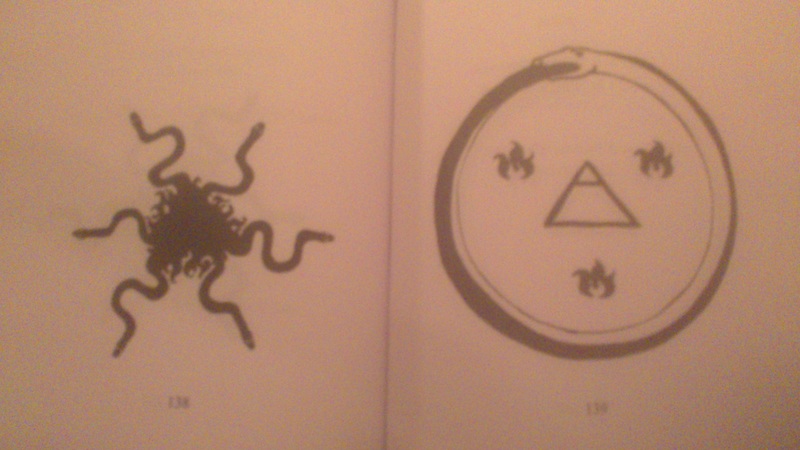 The seal of The Communion is the opposed phases of the moon, linked together via the ways of Belial. Above this, his eternal flame sparks and burns. In Flames – This section sees the bones enfleshed by the aforementioned and foreshadowed burning fires of Belial. Through the works mentioned here with a special pentagram, both physical tool and spiritual self are ignited in the most literal of manners. The author in private correspondence detailed how this pentagram literally would physically ignite during this phase of development. Here, the capabilities of the devotee for working with Belial and the Gods are greatly enhanced. Here, in this magickal transformation work is also carried out on the world soul itself as alongside the blessings, curses are delivered at those who would despoil the World Soul, and Belials flesh. The seal of In Flames are six serpents, writhing forth from a coiling mass of flame and flesh, showing the emanation of power. The Path – This final section is the seal upon the whole work. The practitioner demonstrates here the lessons learnt on the path, and completes the seating of the blessings and curses within the self through the prayers of the seven deaths and rebirths. Here any fear melts away, those who have successfully completed the path so far coming into a much deeper understanding and connection with the lord of lords. Through this section, the soul is opened fully to Belial becoming intimately connected with his own beyond even physical death. 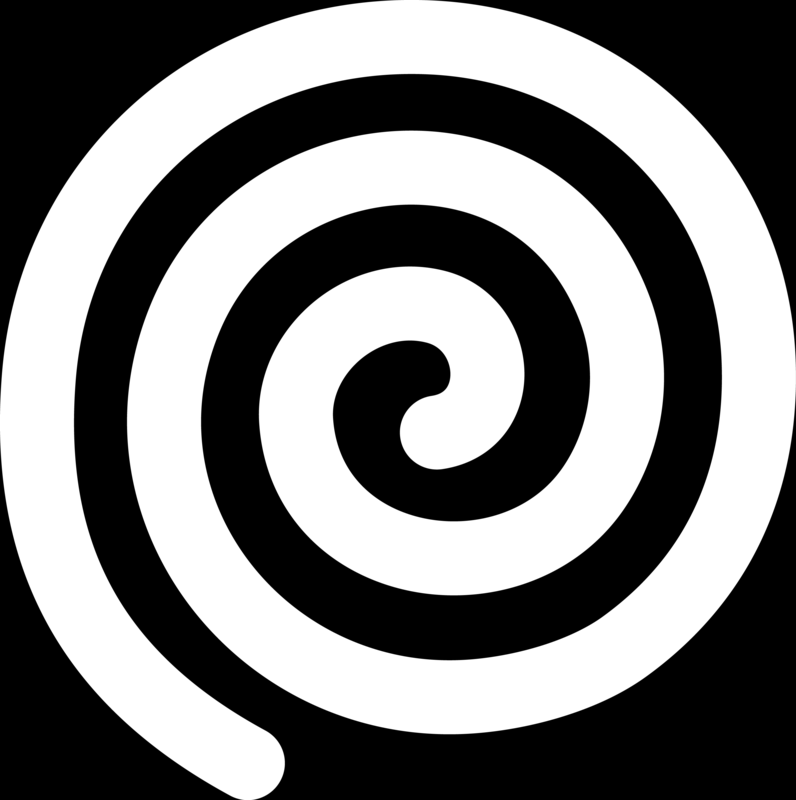 The seal of The Path is that of the widdershins Ouroboros that encircles Belials pyramid of power.. the three flames symbolising not only the trident but the three thrones of Belial.. that which stands in Ghagiel, that which stands as the hidden throne of the Atlantean Depths, and that which lies at the centre of our own world, The Devils Throne. These prayers as the reader can see, make this a good book for someone who wishes to assist with their self initiation into this current. It does so not by relying on description but creating and reinforcing a genuine connection. With Belial being vitally important within the Aeon Of Lucifer, and being a much maligned entity despite this, I believe this work is a great way for those devoted souls who wish to encounter him to do so. It is however, not a work or book I believe suited to general occultists. The pacts are clear in what they offer but also what they demand in return, which is complete soul devotion. Taking from, without offering back, on this path would be ill advised. However someone who wishes to connect firstly and primarily with Belial might be able to take and work with it effectively to learn much about this great witch god. For those already of the current, this book offers powerful ways of greatly strengthening the subtle bodies and soul, and reveals the creation of unique powerful working tools if the lines are read between effectively. It also adds another powerful means for devotional works. The only drawback to the book I see is the editing. Due to being a self published book, and the work not being in the native language of the writer, there are numerous errors in parts of the texts beginning sections. Whilst the difficulty in translating the calls in possession is easily understood, I believe that the beginning sections could have benefited from an additional editing pass. However given the immense value of the work on hand, I believe these can be easily overlooked. The words and sigils here contain real spirit and power. It is also understandable that Atilla wanted to stay clear of the somewhat shark infested waters of modern day occult publishers, where the waters can sometimes be muddy. The work itself does not come pre-consecrated as a gateway. From receiving it, part of me believes this is for a good reason. As such, I offer a simple way to those who receive it that was given in intuition by Belial to me to self consecrate it. First, the book is to be opened. The first sigil of the The Call is to be blooded in Belials name, so that the entire gem is inflamed in red. This is to be followed by blooding the last sigil of the The Path in Belials name, covering the flames and the tip of the pyramid. A prepared sigil of Belial on paper coated with a dried, liquid libation, is to be blooded and placed face up on the front of the closed book. Atop this, a consecrated candle holder is to be placed. 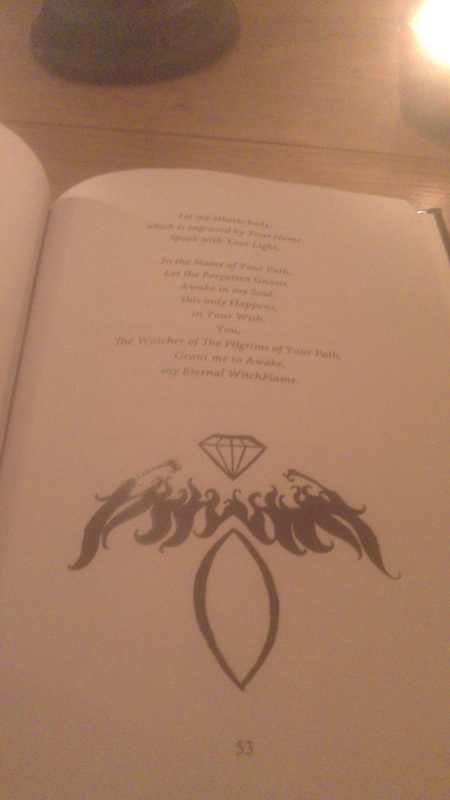 A candle, blessed in Belials name is placed upon the top of the sigil and book and is lit. Once the candle has burned down, the book is activated via the Pact of the Devoted Blood. The candle, before being burned can also optionally be strengthened by being dressed in patchouli oil, and Belials name and sigil being carved into its sides. On this note, further work with the book can be carried out – I would thoroughly recommend that each prayer working the sigil below the prayer is adequately blooded. Thus, the book itself becomes a powerful living tool through which Belial can be called forth and communed with. I hope this has been an interesting look at this release. It is certainly an exciting time within the current as more is brought forth, by the Gods and their devotees. Going forward on a side note, I hope to improve the quality of camera images as my current set up is very inadequate. This however takes a second seat to my current project, which is working and preparing the bones here of one of the deceased familiars.